Net10 believes that nothing should stand in the way of people connecting to each other and the world. Not limited coverage, or outdated phones, or restricting contracts–and definitely not money. That's why everything they do is designed to deliver the best mobile experience, on the best networks, using the newest phones at the lowest possible price, that's the power of ten. *Unlimited International Calling to over 1,000 destinations in Mexico, Canada, India and in other countries. †To get 4G LTE speed, you must have a 4G LTE capable device and 4G LTE SIM. 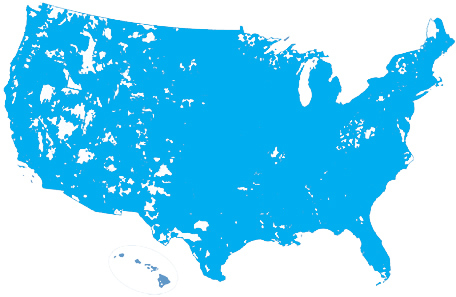 Actual availability, coverage and speed may vary. LTE is a trademark of ETSI. Includes a limited amount of high speed data per cycle. The amount of high speed data provided varies based on your plan selection. After your high speed data is used, your data speed will be reduced for the remainder of the cycle. At 2G speeds, the functionality of some data applications such as streaming video or audio may be affected. High speed data is restored once a new 30 day service plan is added. Other limitations, terms and conditions of service apply. Net10 has partnered with the country's top four carriers to bring customers the network quality they need. The only difference is the cost–we don't have to pay to build or maintain a nationwide network of towers. That means you get the same dependable coverage they offer–for half the cost. GSM and CDMA are the two most common technologies for mobile communication. Net10 Wireless is the only company that offers both technologies, so no matter where you live you'll get coverage on the best network. NET10 Wireless provides exceptional wireless service by doing things differently than everyone else.Unlike the major carriers, everything about the way we operate is designed to save you money. So what does that look like? They’re expensive to build and maintain. That’s a cost typically passed on to you. 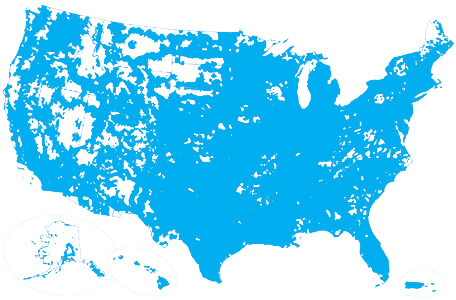 But by using everyone else’s towers, Net10 gives you the exact same coverage for half the cost. The typical cell phone bill has 14 pages. Multiply that by 200 million customers. That’s a lot of paper and extra cost you shouldn’t have to cover. With NET10 Wireless, you don’t! Have you ever been shocked by the overages, activation fees, penalties, etc., added on to your monthly bill? That will never happen with NET10 Wireless, since you pay only for the minutes and data you use. Stores are expensive, too. Employees, uniforms, electric bills, all that stuff adds up. Net10 just sells their phones and plans to wireless distributors like Rush Star Wireless. Net10 buys their minutes and data from the big cell phone companies just like you do. But Net10 has an advantage of buying “in bulk” to get you the best deal. Nobody works harder than NET10 Wireless to keep your costs down. Nobody. Sign Up For Net10 Wireless Today!